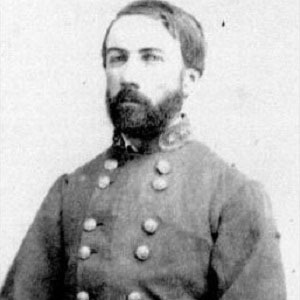 Remembered for his bravery in the Mexican-American War and for his service during the American Civil War as a Confederate Army General, Hill spent the latter years of his life as a mathematics professor at Virginia's Washington and Lee University and as the President of the University of Arkansas. He attended the United States Military Academy in the late 1830s and early 1840s and subsequently joined the United States Artillery. He was the founding editor of an influential North Carolina publication titled The Land We Love. His marriage to Isabella Morrison resulted in nine children, including a son, Joseph Morrison, who served during the early 1900s as the Arkansas Supreme Court's Chief Justice. He was both a friend and brother-in-law (through his wife's sister's marriage) to Confederate General Thomas Stonewall Jackson.